[The $7.5 million construction project that is widening the Rosa Parks Boulevard bridge over I-65] has stripped away rows of trees that residents say once served as a buffer between the gentrifying neighborhood and the interstate. That will leave only a chain-link fence between the homes and the traffic on I-65. The constant highway noise has ... several Salemtown neighbors buzzing about possible sound barriers. This line of newspaper reporting is deceptive, and it lacks any historical awareness of the ways the neighborhoods have identified sound barriers as part of their expectations for their community. Salemtown's neighborhood association had a business meeting with candidates for state office last August at which time we raised concerns that TDOT's Rosa Parks make-over include efforts to abate the noise. Council Member Gilmore was at that meeting and acknowledged our concerns. Nancy DeVille's reporting not only makes no mention of that, but her story indicates that no progress has been made on any solution with TDOT in the last 8 months. If the journalist had taken a look at the history of neighborhoods working with government officials already, she might have been less willing to parrot BJ Doughty's insinuation that we were not already doing so. Ms. DeVille might have showed TDOT that the neighborhood efforts have gone largely ignored by government and that the real problem is that TDOT does not lift a finger to work with Metro Planning to incorporate community-based enhancements into its utilitarian treatment of neighborhoods as pass-through vessels. Ms. DeVille also failed to report that before Erica Gilmore was elected, previous CM Ludye Wallace, did not lift a finger to facilitate community-informed planning into North Nashville development. 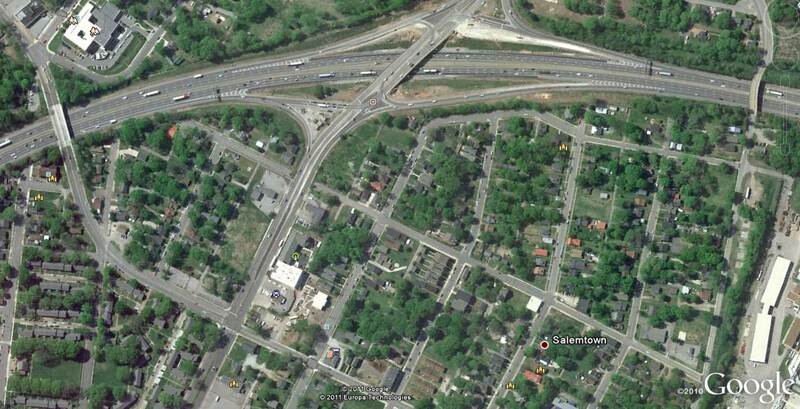 So, TDOT's passing of the buck to Salemtown is bogus. It is shameful and frankly insulting that the Tennessean ignores the context and the facts (and the ways some of us have hammered away on this for years) that might help their reporter help the bureaucrats to see that. What are you complaining about? It is just a little interstate noise. You know that interstate was there before you bought your house! If the handful of neighbors don't like the interstate noise you need to move back to where you came from. Don't be a hypocrite. Actually, our house is blocks away from the Interstate and we are personally unaffected by the noise there. But the whole logic of just-accept-crap-that-people-who-don't-live-in-your-community-heap-on-the-neighborhood-you-moved-to" argument is lame. While I have opposed Wedgewood-Houston's attempts to support the Mayor's bid to privatize the Fairgrounds, I've never sided with preservationists' arguments that the neighborhood should just accept any level noise the speedway dishes out because it was there when they moved in. Racers operate on an increasingly urban track and they should use mufflers. I've also supported Downtown residents who believe that bars should not be allowed to play karaoke out on the sidewalk even though Downtown is already louder than other neighborhoods. There were those who argued that if those residents didn't want to listen to amplified music on the sidewalk every night that they shouldn't have moved Downtown. Common sense doesn't dictate that, because Downtown noise is already louder than others, any level of noise anytime is now allowable. Your argument is flawed because it would lead to each of us never working to make our neighborhoods better than they are. Don't like a spike in crime? Move out. Don't like a development that destroys the quality of life in your 'hood? Run away. Working to make public schools in the zone better, stupid? Flee, instead. Don't try and make a difference. Ultimately, your view leads to abandonment and neglect. It's clear from the planning process that our neighborhood is encouraged to talk about improvements we would like to see in the community. We are told that our views make a difference. We are not encouraged to move out if we don't like things that should be made better. 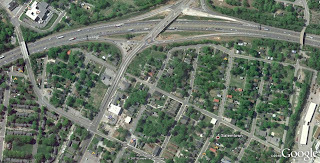 West Nashville neighborhoods weren't told to go back where they came from when I-440 slashed through them. They got sound walls and landscaping, not chain-link fences and vacant lots. Just a few years ago CM Ginger Hauser sponsored a bill to build more sound walls to protect some of those neighborhoods. Just imagine if she told her constituents if they didn't like not having sound walls then they should move back to where they came from? They would have ridden her out on a rail unless she would have simply posted it anonymously on a blog without ever having to be directly accountable for calling someone else a hypocrite. Run away from less-than-ideal situations if you like. I choose to demand more from my local government. I don't know who wrote that story, but I don't expect much from The Tennessean. McNeely, Piggott and Fox tends to get first dibs on the journalism/public relations graduates (especially if they are female and a "hottie"). Then Dye, Van Mol makes a grab. Those who don't get the PR gig then go to The Tennessean. If in fact, a promising reporter goes straight to the paper, his or her editor is most likely having lunch with one of the McNeely, Piggot and Fox "new hires" at the Sunset Grill. When the editor gets back to 1100 Braodway, he does a little "editing" (while thinking about where he'll dine with the "new hire" next week). I'd like to know if TDOT is directly, or indirectly, represented by a Nashville PR firm. Metro and state gov agencies have an incestuous relationship with local PR and "strategy" firms. If I were that way with my sister, she, me and our children would ALL be in jail. S-town Mike your comments above are complete B.S. You went door to door in our neighborhood supporting the racetrack. Must be nice to have a wife who is the bread winner of the family so you can have time to play on this blog and to stick your nose in another neighborhoods business. If my conscience allowed me to hide behind the name "Anonymous," I'd probably fabricate all kinds of lies about others, too. Never been door-to-door in your neighborhood, no matter where that neighborhood actually is. Cry "Wolf!" The first two anonymous comments are nothing but snippy. The "bread-winner" comment is just absurd and smells of the author's own insecurities. (No wonder he doesn't like racecars -- he probably with Barbie Dolls as a child). 2011 Country Music Marathon photos: "Separation"
Dean's confederate Kerr to critics: STFU!